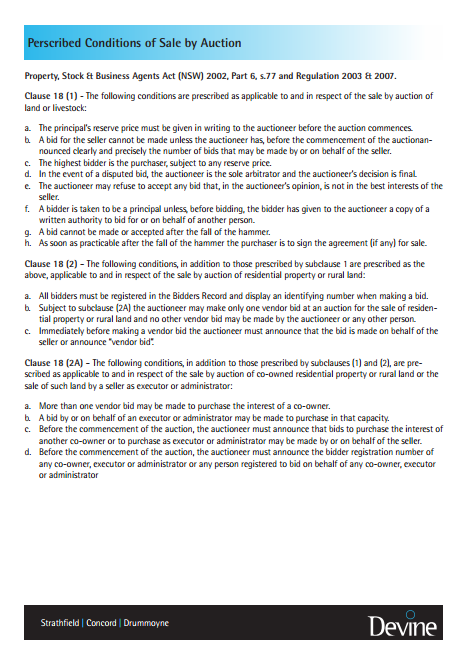 Required to authorise someone to bid on your behalf. 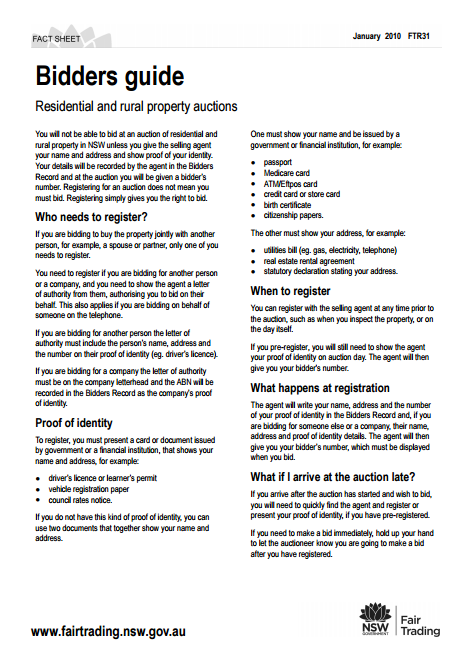 To bid on behalf of a company, superannuation fund, or trust. 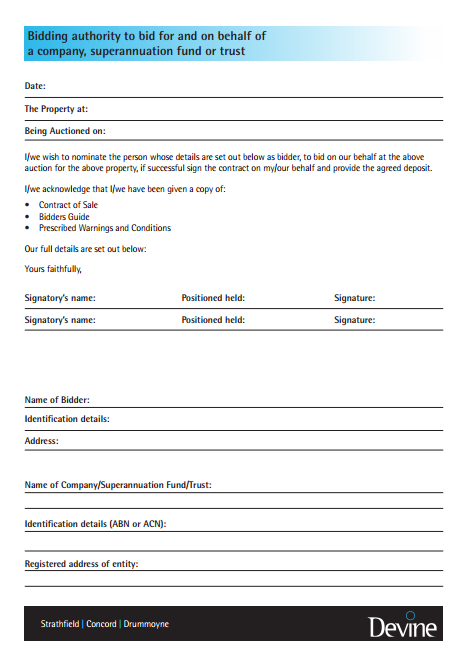 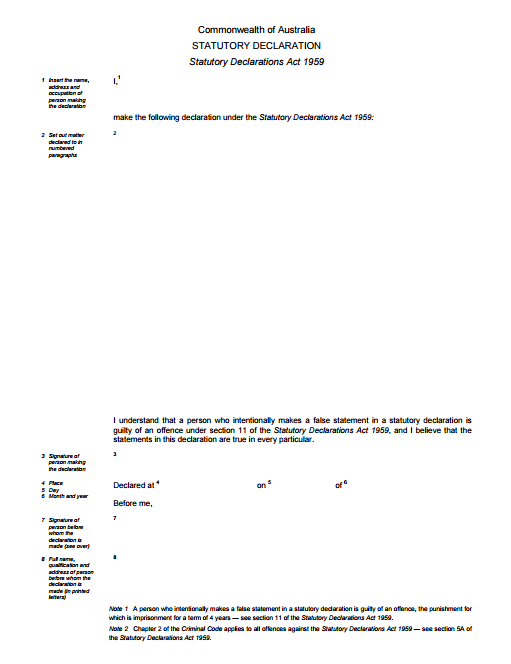 Bidders GuideOffice of Fair Trading document that all bidders must receive. 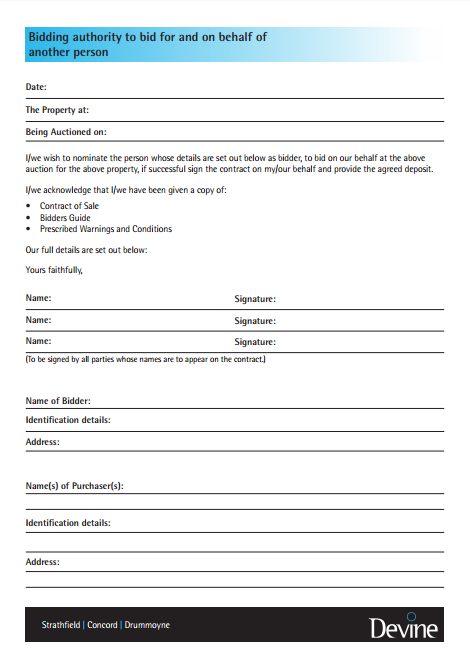 Watch as Steven Devine offers some helpful information to know before participating in an auction.